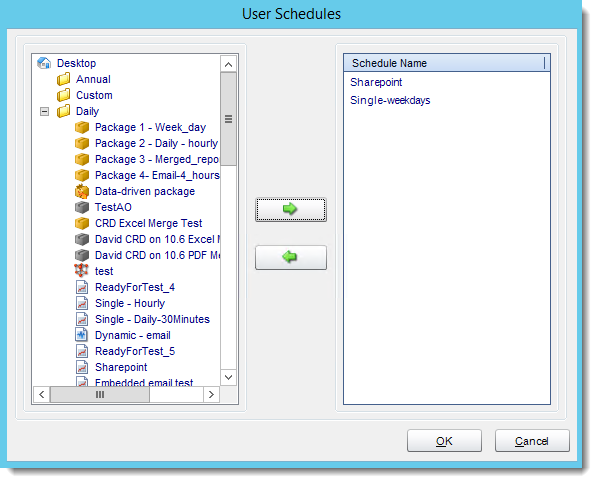 Create Group policies to determine what user can/cannot access in CRD. 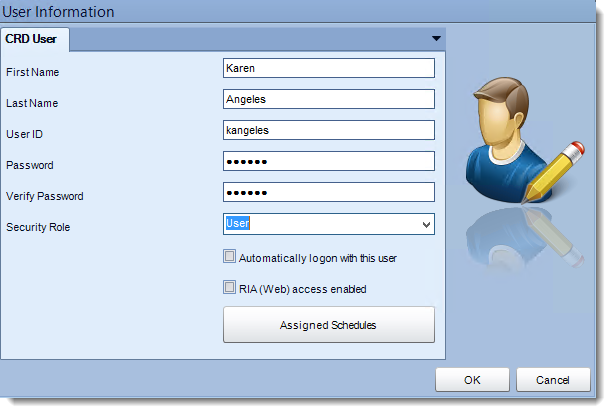 Automatically logon with this user: When this option is checked, CRD will always logon using this user's credentials. When CRD starts, the splash screen will show this user and the system will automatically log in after 10 seconds. You can interrupt the automatic logon process by typing in a different username and password and manually log on as a different user. CRD comes with the Administrator and User security roles. Roles help you to easily manage which functionality is available to people who will be using CRD. By placing users into different groups, you can determine what they can and cannot access in CRD. 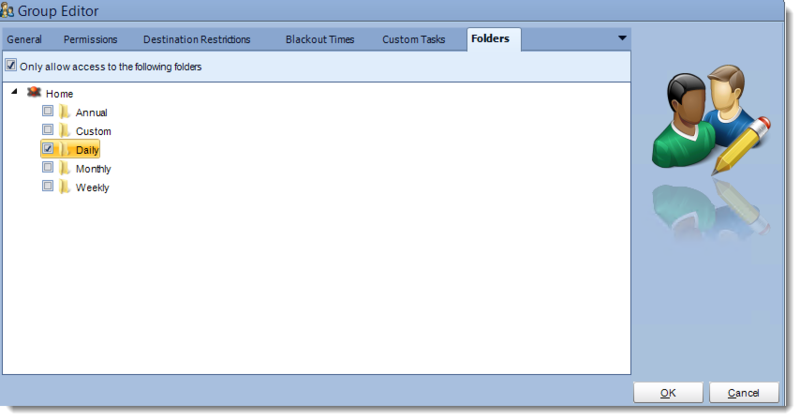 Restrict access to certain functionality, activation/deactivation and even assign blackout times. 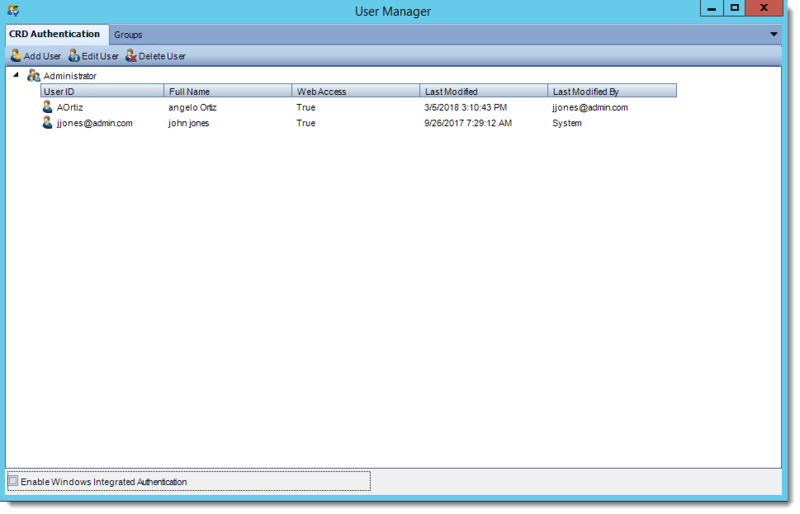 Windows Authentication allows you to use Windows Authentication to log in to CRD. This can help save time in creating new users for CRD. Security roles created in CRD can also be applied to users under Windows authentication. 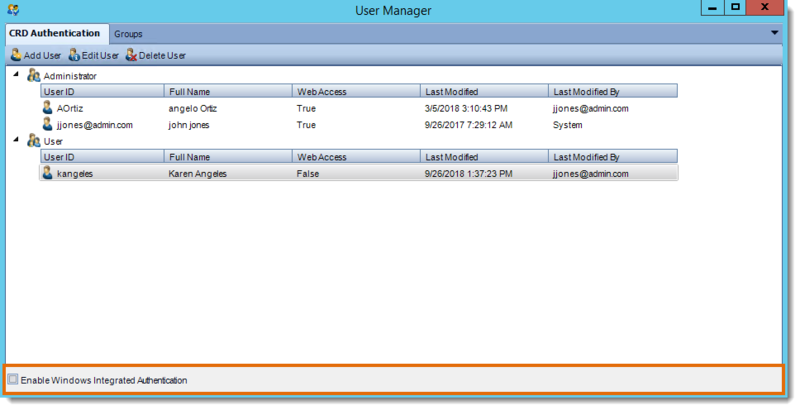 Add Active Directory users as CRD users. 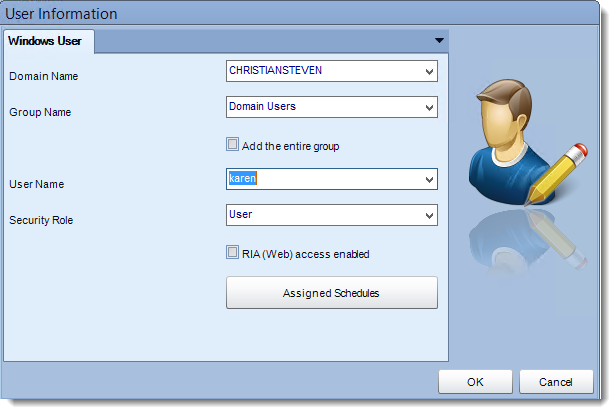 Add the entire group: All users in the user group will be added to CRD. 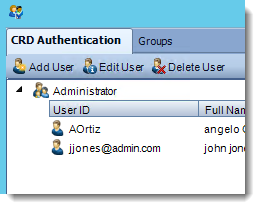 Security Role: Assign a CRD specific group to the user. 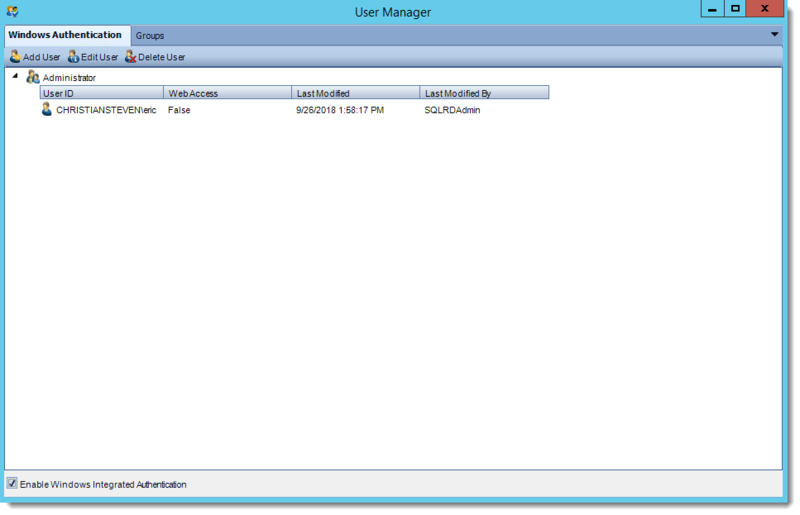 The user will then take on the permissions allotted in the user group. User Groups can be created in the Groups Tab.